Hi! My name is Nicki. I graduated from Baltimore School of Massage in 2005. My first job in massage gave me an opportunity to work on professional and college athletes. Also, many of my clients were rehab which was a great learning experience. I have strong passion for massage. Healing the body and the mind is powerful. I am confident in my work and my ability to help my clients. I am trained in Swedish, Deep, Myofascial, Sports, Acupressure and Pregnancy massage. Deep tissue is my favorite. I'm so excited to be given the opportunity to work for Dr. Dot. It will be a pleasure to work on you. Contact Dr. Dot to schedule a session with me. This entry was posted in Dr. 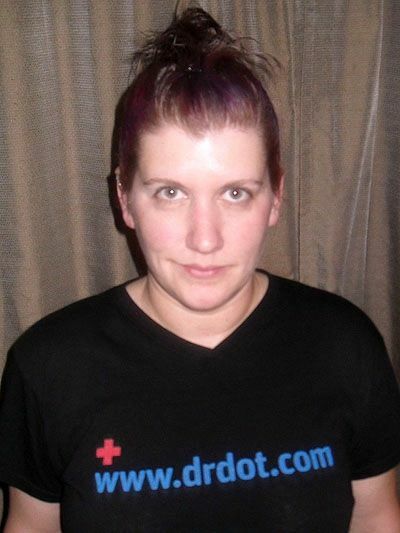 Dot and tagged 247, acupressure, and, baltimore, blog, dc, deep, dot, dr, female, home, hotel, lmt, maryland, massage, md, myofascial, pregnancy, sports, swedish, team, therapist, therapy, tissue, venue, washington by Dr. Dot. Bookmark the permalink.